Acupuncture is an ancient healthcare modality originating in Asia over 2,500 years ago. Acupuncture is taught and practiced in leading tertiary institutions and hospitals around the world and has been shown to be an effective alternative to pharmaceutical products without any adverse reactions. In addition to aiding in relaxation and allowing patients to enjoy a sense of calm, acupuncture has been shown to help a variety of conditions, including sore muscles, joint troubles, stress and more. At our practice, patients of all walks of life can enjoy acupuncture performed by a licensed professional. We’re certain you’ll feel relaxed and comfortable during your time with us. 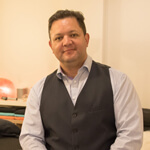 Rodd Sanchez is accredited and an associate fellow with the Australian Acupuncture and Chinese Medicine Association and all major private healthcare funds. If you’d like to learn more about whether or not acupuncture is an ideal modality for your specific needs, we’d love to speak with you. We’ll develop a custom care plan around your needs to ensure you’re receiving the best possible nature care. Get started by making an appointment with our practice today.